It’s no secret I have a fascination with and compulsion to take pictures of my clients with vehicles: trains, buses, boats, helicopters, golf carts, even lawn mowers. 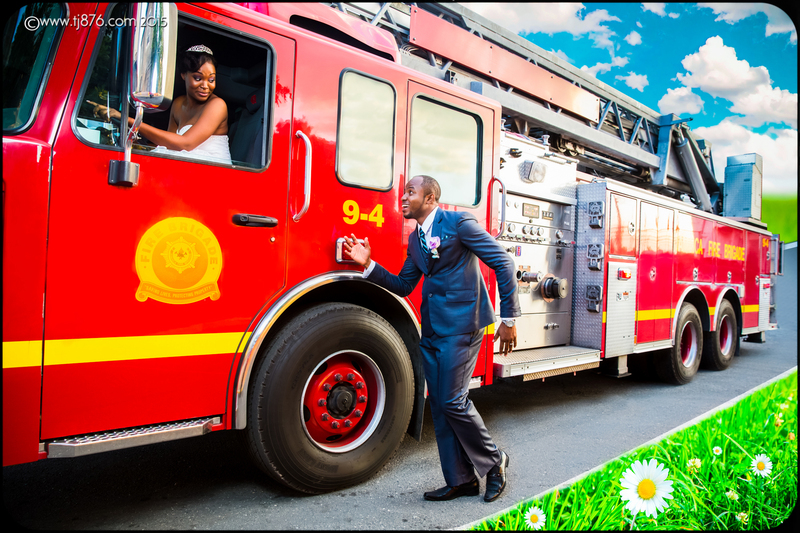 When our clients mentioned that they wanted some of their wedding pictures to be taken at a fire station, we were all too happy to oblige. When we found out we could use the largest fire truck in Jamaica as a prop, things got interesting. Previous Post Odd things guests ask me to do at weddings. Some of which I will never do.